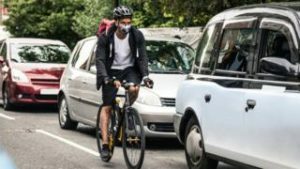 New diesel and petrol cars and vans will be banned in the UK from 2040 in a bid to tackle air pollution, the government has announced. Ministers have also unveiled a £255m fund to help councils tackle emissions, including the potential for charging zones for the dirtiest vehicles. But the £3bn clean air strategy does not include a scrappage scheme, calling previous ones “poor value” for money. Local government leaders welcomed the funding but called for more detail. Local authorities will be given direct financial support from the government, with £40m of the fund being made immediately. They can use the funds for a range of measures, such as changing road layouts, retrofit public transportation or encouraging residents on to public transport. 1. The dirtiest vehicles are the ones that combine poor gas mileage with greenhouse gas emission, among other things. Which vehicles are considered the dirtiest in your country? What are the standard tests done for vehicles in your country? 3. Earlier this month, President Emmanuel Macron announced similar plans to phase out diesel and petrol cars in France, also from 2040. Do you think Japan will follow this plan? What would be the impact of this to the car industry?